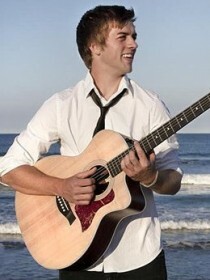 Eli Noll has made a journey comparable to few other musicians. Starting his musical career at the age of two with the violin, Eli has been growing with music for nearly his entire life. Influenced by his experience involving open heart surgery and the emotional toll of losing his father to cancer, he began writing songs far ahead of his age while he was only a young man. Today, Eli uses his life as the basis of his new perspective towards songwriting; feelings of hope, love, and loss. With an optimism shining through his personality and stars in his eyes, Eli creates an ambience, only answerable with a smile. 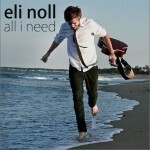 Eli is currently working on his debut album titled "All I Need" which is to be released in Spring of 2011.